Oliver Cromwell, a pivotal and often contentious character, has long been the focus of many historical works that chart his meteoric rise from being a middle-aged farmer from East Anglia with no previous military experience, who rose to command the army and become one of England's greatest generals. 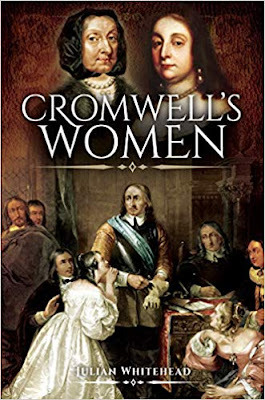 Like him or loath him, Oliver Cromwell is a giant of English history. With a deft hand and strong narrative, Whitehead guides us through the remarkable life and career of Oliver Cromwell from a unique perspective. He explores not only the effect the women in Cromwell's life had on him, but how his career in turn dramatically altered their lives. We learn of his close relationship with his mother, who lived with him throughout her long life, and of his deep attachment to his wife Elizabeth, who he married at 22 and without whom it is doubtful he would have achieved all he did.